There are now 13 players remaining. There are currently 15 players remaining. The blinds are 2K-4K with a 500 ante. Play will continue until the end of the current level or the final table, whichever comes first. 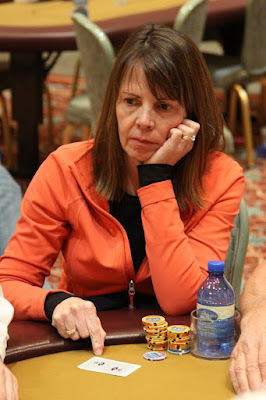 There are 19 players remaining and blinds are increasing to 1,500-3,000 with a 400 ante. The players are currently on a 10-minute break. There are now 25 players remaining. 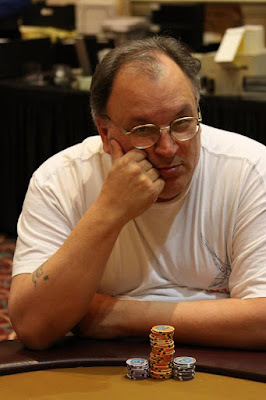 Blinds will be increased to 1,200-2,400 with a 300 ante. Robert Simpkiss wanted us to say hello to his wife Sharon, who is following www.FoxwoodsLive.com from home. There are now 33 players remaining. There are now 36 out of the original 266 players left in today's $600 NLHE event. The final 30 players will finish in the money. The $400 Limit Hold 'Em event is now down to six players. There are now 25 players remaining in the $400 Limit Hold 'Em event. 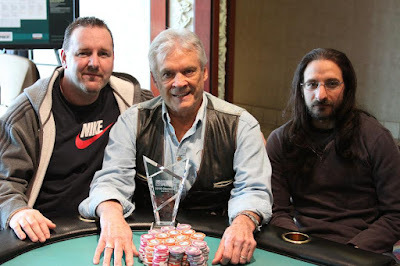 Brothers Willard "Poker Doc" Noyes and Tom "Mark 'Em Down" Noyes won back to back events at the Foxwoods Poker Classic. Jay "WhoJedi" Newnum sits down with them to talk about their victories and how these brothers got started in poker. 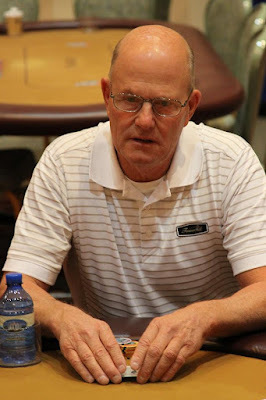 With play three-handed, a deal was agreed upon and Willard "Doc Poker" Noyes was crowned champion the day after his brother, Tom "Mark 'Em Down" Noyes, won the $400 Omaha H/L event. 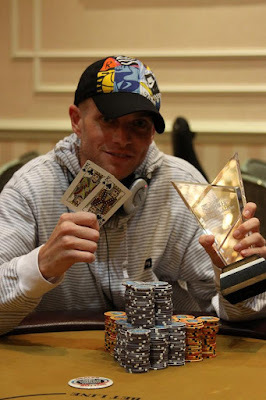 Noyes takes home $7,357, the trophy and the Foxwoods leather jacket. A total of 266 players entered the $600 NLHE event. There are 112 players remaining and the final 30 players will finish in the money. A total of 68 players entered the $400 Limit Hold 'Em event. There are now 66 players remaining and the final 9 players will finish in the money. At 11am this morning in the Grand Pequot Ballroom, the $600 NLHE kicks off. Players start with 7,500 in chips with 60 minute levels. At 1pm in the main poker room, the $400 Limit Hold 'Em event starts up. Don't forget that tomorrow at 11am is the $1,500 NLHE event with 15K in starting chips and 60 minute levels. 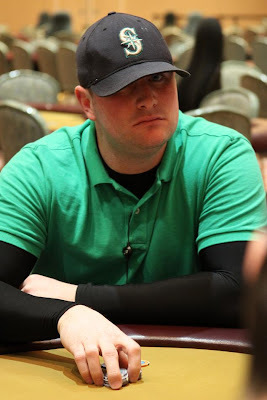 After making a deal before heads-up play began, Bobby Hodson is crowned champion of the $400 NLHE event at the Foxwoods Poker Classic. 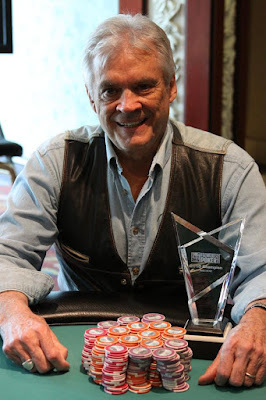 He takes home $19,000, the trophy and the Foxwoods leather jacket. 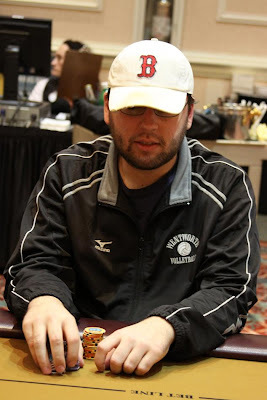 Before heads-up play began, a deal was agreed upon and Justin Pechie officially takes 2nd place in the $400 NLHE event at the Foxwoods Poker Classic. The board came [7h][6c][3h][7c][3s] and Hodson's tens held up to win the pot and eliminate Bardah in 3rd place. Matson had Pechie dominated until the board came [8h][7c][2h][3s][5c]. Pechie paired his seven to take the pot and eliminate Matson in 4th place. 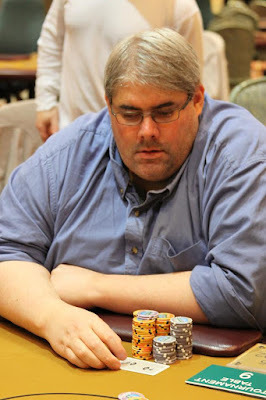 The board ran out [4c][3c][2c][3d][Kh] and Hodson made a full house to win the pot and eliminate Lenane in 5th place. The board ran out [Th][4h][2s][7s][6s] and Pechie took down the pot. Fellela was eliminated in 6th place. The board ran out [8h][7c][2s][3c][5s] and Lenane took the pot with a set of seven's. 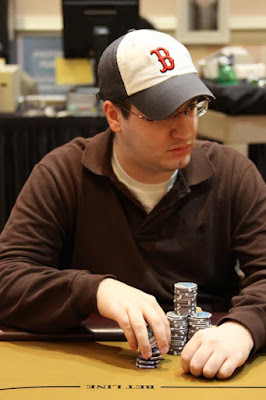 Fulgoni was eliminated in 7th place. The board ran out [Ad][8d][7d][7c][2s] and Pechie took the pot, eliminating Yeo in 8th place. Hodson flopped the full house and was way ahead. The river came the [5s] and was of no help to Miller. He was eliminated in 9th place. 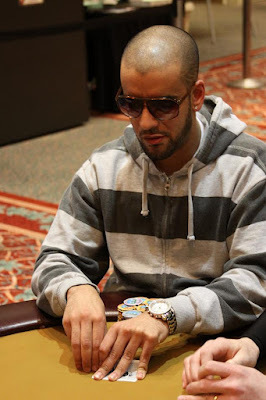 Bardah had a big lead preflop, but lost the pot when the board came [As][8s][3s][4s][Ah]. 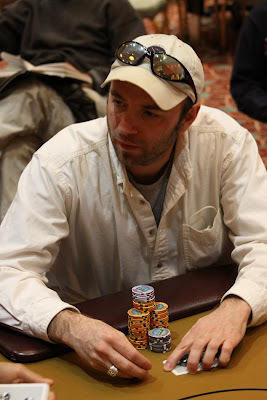 Hodson made a flush to more than double up and eliminate Swick in 10th place.